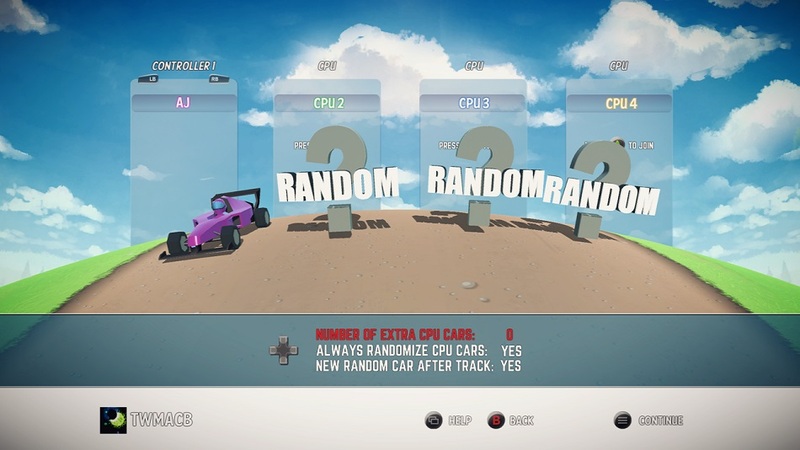 After playing Wheelspin Frenzy, there’s a part of me that realizes modern racing games have left me mollycoddled. Numerous current racers allow me to rewind time when I mess up a corner, there are driver’s assists, and rubber-banding causes cars to fall back or catch up to create an illusion of tension or opportunity. Wheelspin Frenzy feels decidedly old-school by having none of that. No, this game is an isometric racer with a simple set of verbs – accelerate, brake, nitro boost – and one twist on those, which is that collisions and destruction add to the nitro. There are no major frills, and it seems to be tipping its hat to the PlayStation-era Micro Machines games. There are no frills in the campaign either – three tracks are unlocked at the beginning, with another 17 to unlock after meeting certain criteria like finishing first or finishing a lap within a certain time. This would seem to offer some forward thrust and incentive to play further, but the problem is that Wheelspin just isn’t enjoyable or rewarding. Because of the fixed isometric viewpoint, I was often required to drive into the camera with little-to-no indication of when upcoming turns were due to the lack of a mini-map. In order to get through it, I had to memorize the twists and turns that lay ahead and this was tough since there was usually no visual indication for an upcoming turn. The AI suffered from no such problem. Fortunately, there were lots of bugs that helped me get through. For starters there are ‘shortcuts’ to take that are ways of shaving corners without being penalized. 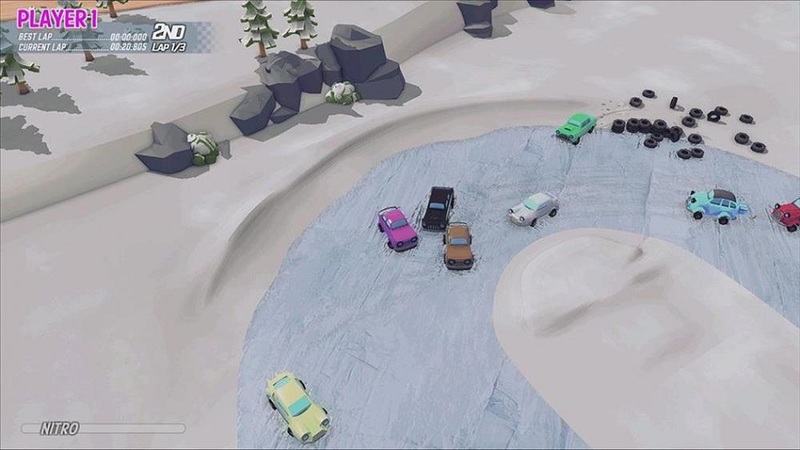 Oftentimes the AI’s pathfinding would be delightfully off-kilter with some cars driving into walls or getting stuck and leaving themselves in a perpetual loop of last place — it didn’t always guarantee a win though, since my position wasn’t always tracked properly. Disclosures: This game is developed by Mental Moose Games and published by Mental Moose Games. It is currently available on Xbox One, and PC. This copy of the game was obtained via publisher and reviewed on the XBO-X. Approximately 3 hours of play were devoted to the single-player mode, and the game was completed. 1 hour of play were spent in multiplayer modes. Parents: There is no information available on the ESRB website. 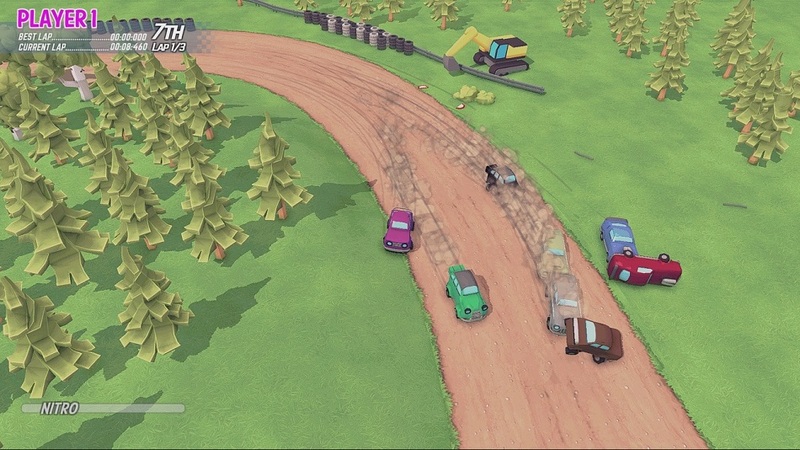 However, the game features toy cars racing around tracks and there’s no violence at all. It should be suitable for all ages. Deaf & Hard of Hearing Gamers: The game is fully playable without sound. The text cannot be resized, and the colors cannot be changed. Remappable Controls: No, this game’s controls are not remappable. There is no screen with the control system. The Left stick steers, Right Trigger accelerates, Left Trigger brakes, A button boosts.